Since 2007, I have been involved in different projects aiming at building capacity for research and postgraduate training in several African countries and, from 2019, in South-East Asia. Project leader for the collaboration between the Department of Applied Mathematics, University of Rwanda, Rwanda, and the Departments of Mathematics, Linköping University and Stockholm University, 2007–. Project leader for the collaboration between the Department of Mathematics, University of Dar es Salaam, Tanzania, and the Departments of Mathematics Linköping University, the Royal Institute of Technology, Stockholm University, Uppsala University, the School of Education, Culture and Communication, Mälardalen University, 2015–. Project leader for the collaboration between the Department of Mathematics, Makerere University, Uganda, and the Departments of Mathematics, Linköping University, the Royal Institute of Technology, Stockholm University, Uppsala University, the School of Education, Culture and Communication, Mälardalen University 2015–. Project leader for the collaboration between the Department of Mathematics, Universidade Eduardo Mondlane, Mozambique, and the Departments of Mathematics, Linköping University, Luleå University, Stockholm University, the School of Education, Culture and Communication, Mälardalen University, the Department of Statistics, Uppsala University, the School of Business, Örebro University, 2017–. Project leader for the collaboration between the Department of Mathematics, Royal University of Phnom Penh, Cambodia, and the Departments of Mathematics, Linköping University and Stockholm University, 2019–. In addition to this, I am overall coordinator on the Swedish side for the Sida-funded bilateral research programme at University of Rwanda since 2011. Project leader for a collaboration between the Department of Mathematics, University of Cape Coast, Ghana, and the Department of Mathematics, Linköping University, 2008-2013. Responsible for the mathematics part in a collaboration between University of Nairobi, Kenya, and Linköping University, 2014- 2015. The UR-Sweden Programme is the largest bilateral research programme currently funded by the Swedish International Development Cooperation Agency (Sida). In line with the development goals of Rwanda, the UR-Sweden Programme consists of three components: Research Training, Research Infrastructure and Research Management. The Department of Mathematics (MAI) at Linköping University together with the Department of Mathematics at Stockholm University are the Swedish partners in the Applied Mathematics and Statistics sub-programme. The main goal of this sub-programme is to train Master's and PhD students in mathematics and statistics and support the University of Rwanda to develop its own programmes in mathematics and statistics. Another goal of the sub-programme is to contribute to a conducive environment for research in mathematics and statistics at the University of Rwanda. Our goal is to strengthen research and postgraduate training in mathematics, statistics and their applications at the University of Rwanda, and to promote the use of mathematics and statistics in Rwanda and in the region. Funded by Sida. 5-9 August 2019, Bishoftu, Ethiopia. Theme: Strengthening Research and Postgraduate Training in Mathematics in Universities in Africa. With a grant from Sida, the Swedish International Development Cooperation Agency, LiU’s Department of Mathematics can commence an educational project in a fourth African country, Mozambique, together with the Universidade Eduardo Mondlane (UEM). The Department of Mathematics is entering into a new collaboration programme with Makerere University funded by Sida. The development of research environments and research education in mathematics is on the agenda. Mathematician Joseph Nzabanita from Rwanda was awarded the Cramér Prize in 2016 for his thesis in mathematical statistics. He took his doctorate at Linköping University in 2015. 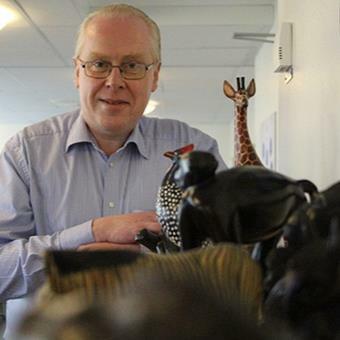 The Department of Mathematics (MAI) at Linköping University is actively involved in helping universities in Africa to build up research capacity. Since the early eighties, I have been teaching on all levels at Linköping University. Johan Thim, 2005–2009. PhD thesis: Simple Layer Potentials on Lipschitz Surfaces: An Asymptotic Approach. Mike Krimpogiannis, 2009–2012. Licentiate thesis: The Double Layer Potential Operator Through Functional Calculus. Lydie Mpinganzima, 2008–2014. PhD thesis: Iterative Methods for Solving the Cauchy Problem for the Helmholtz Equation. Sonja Radosavljevic, 2011–2016. PhD thesis: Permanence of age-structured populations in a spatio-temporal variable environment. Tomas Johansson: Analytic solutions to algebraic equations, MSc thesis 1998. Håkan Stenström: Lösning av algebraiska ekvationer med differentialresolventer, MSc thesis 2005. Nina Håkansson: Population growth: analysis of an age structure population model, MSc thesis 2005. Lydie Mpinganzima: A Data Assimilation Approach to Coefficient Identification, MSc thesis 2011. David Larsson: Generalized Riemann Integration: Killing Two Birds with One Stone? BSc thesis 2013. Jonathan Andersson: Asymptotic behavior and effective boundaries forage-structured population models in aperiodically changing environment. MSc thesis 2017. Anton Karlsson: Population Models with Age and Space Structure. BSc thesis 2017. My research has focused on partial differential equations (inverse problems, asymptotics of solutions, nonlinear potential theory) and function spaces, especially weighted Sobolev spaces.